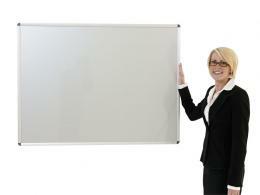 For presentations, meetings, talks, seminars and classes, a whiteboard is an essential tool. It’s a large, highly visible area where ideas can be drawn out and ideas can be recorded for the benefit of the entire group or room of people. They’re standard in any school, office, lecture hall, or classroom. Teachers, bosses, employees, students, office workers, and secretaries might all benefit in some way by making use of a whiteboard. They can be used as a general noticeboard or even as a calendar to keep track of day-to-day to-dos, lists, schedules, duties, and more. A whiteboard is truly an all-around useful tool. 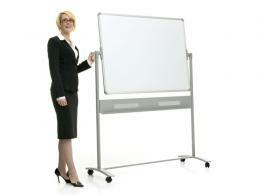 The Workplace Depot’s Pivotal Mobile Whiteboard come on castors so they can be moved anywhere. The dry wipe board is double-sided to increase your writing space, and can be tilted in multiple directions for optimal viewing. 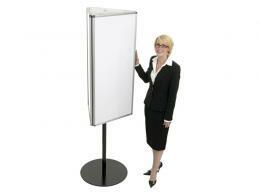 The Revolving Whiteboard can move 360 degrees and is three-sided, making it the perfect area for writing notices. 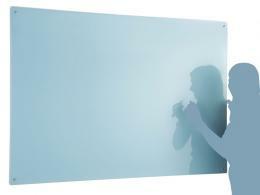 For a classic installation, look to the Wall Mounting Whiteboard, which affixes to any wall. The Tamperproof Whiteboard is also wall mounted. It has two doors that open up to provide more writing surfaces, and can be closed and locked. 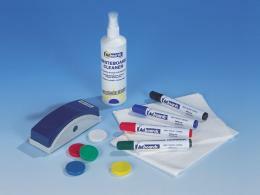 The Glass Colourwipe Board is a modern alternative to the standard board. It can be used anywhere that a chalkboard or white board can, easily wipes clean, and looks professional. Don’t forget the necessary accessories for your whiteboard. 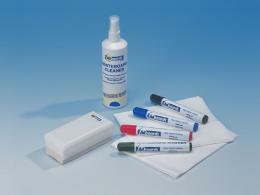 Our Standard and Deluxe Whiteboard Starter Packs come with everything you need to use your whiteboard, including dry-wipe markers and erasers. The Workplace Depot also sells Frames 4 Docs, which will frame your important documents in your office, classroom, or study. All of The Workplace Depot’s whiteboards, Starter Packs, and additional related items come with a one year warranty that includes parts and labour. Of course, all of our products also come with free delivery.